Winter is coming quickly. Do you know what that means for your hair? 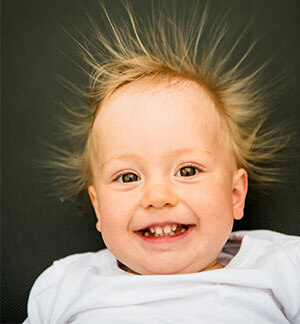 It can become dry, brittle and full of static electricity. Not exactly how you want your hair to look at the many holiday parties you plan to attend. So here are some tips on combating dry hair and hair full of static. Let’s start with dry hair tips. Make a hair mask using an avocado and an egg. Mash a ripe avocado with one egg and apply to wet hair. Leave on for 20 minutes and rinse until all the mixture is out of your hair. If your hair is very dry and damaged, you can do this once a week. If it is healthy and you’re just trying to get some luster in your hair, try it monthly. Condition your hair in olive oil. Warm a ½ cup of olive oil and rub it into your hair. Cover with plastic wrap or a plastic bag and wrap in a towel. Sit for 45 minutes then shampoo and rinse. Make sure you don’t boil the olive oil while warming it. Rinse with apple cider vinegar or unsweetened tea to clarify your hair without drying it out. If you’re blonde, use chamomile tea because black tea could stain it. If you are brunette or have dark hair, use black tea because it can enhance shine and color. Try a conditioner with botanical oils. Think olive oil, jojoba oil, sweet almond oil and coconut oil. You can also use these oils on damp hair, leave on for 30 minutes then rinse and shampoo. Instead of rubbing your hair with a towel after you get out of the shower, try wrapping it up with an old cotton t-shirt to absorb the moisture. Use a humidifier at night to keep moisture in the air to help your skin and hair become less dry. Now, let’s learn how to get rid of the dreaded hair static that often plagues us in the winter. Use dryer sheets. You can use them directly on your hair static or rub them on brushes and combs to help static from spreading. If you’re in a pinch, use a little bit of hand lotion. Put some in your hands and rub it through your hair and smooth any flyaways. Just remember if you use too much, your hair will become greasy. Try a frizz control spray. It will not only help get rid of frizz, but help reduce static as well. Remember that humidifier we talked about for dry hair? It should help reduce static as well. Use hairspray. Even if you aren’t trying to hold a fantastic hairstyle, use a little hairspray in your hair and on your brushes to reduce static. If you dry your hair, use an ionic dryer. It will reduce the time it takes to dry your hair and it will neutralize the electric charge that creates static. There are some inexpensive ones out there if you’re worried about price. Plastic combs can contribute to static. Try a rubber or metal comb instead. Try a silicone-based conditioner. It has been said silicone coats your hair strands and neutralizes an electric charge. Use a natural bristle brush. They reduce static and also help distribute your hair’s natural oils evenly, which will make your hair shinier. Avoid rubber-soled shoes. They accumulate electric charge that makes your hair staticky and can give you that shock when you touch something like a doorknob.